Thirteenth Edition, Northampton, Mass. 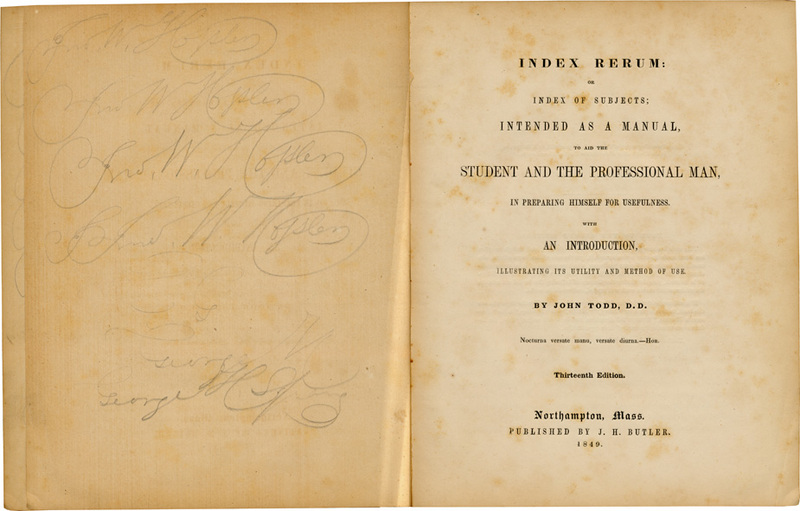 J. H. Butler, 1849.
indexing entries from Rollins only. exceptions: The Luth. Ch. 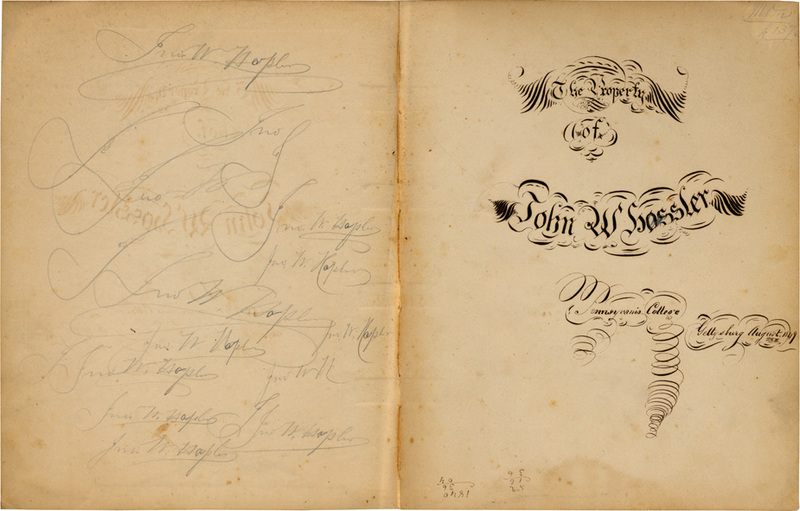 the Hope of Protestant Unity and Evang Christianity in the World, Notes and Comments (two pages) at beginning, and — back of the book, upside down — nine page Sketch of the Life of Rev. J. W. Hassler. 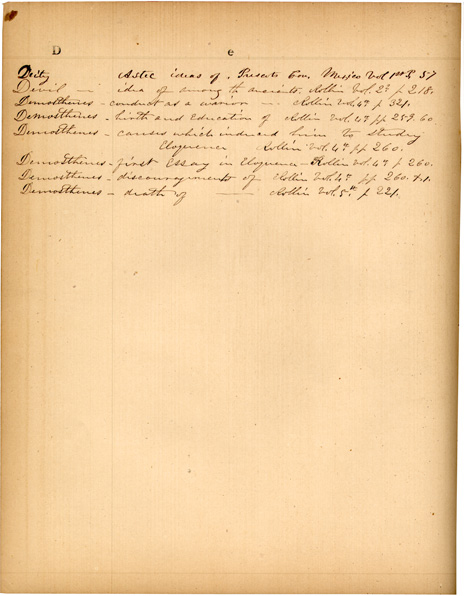 Hossler, not Hassler — here and several elsewheres, different issues of the Gettysburg College catalogue, where he is listed as graduating in 1852. I surmise that Hossler became Hassler, sometime following his completion of studies at Gettysburg College. Hossler, in his handwriting exercises, seems to have played with the notion of being a Hassler . Some experiments with a long s cause his name to be easily mistaken as Hopkin . Note also in the bold Property of initial, what appears to be a penciled correction to the o in Hossler, rendering it Hassler. And so there's much about identity. 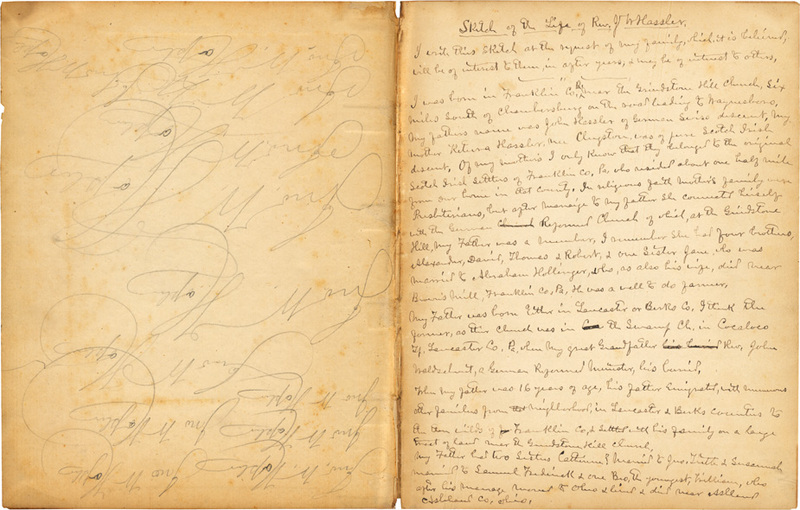 The nine-page Sketch of the Life in the back of the book (flipped over), adds more substance to an uncertain identity of the young man, who studied medicine but would later enter the ministry, and whose status at Gettysburg College was also uncertain, at least part way through his time there.